Being that it is Halloween month, I felt like talking about something that is a lot of fun to me: scary video games. I’ve always found horror games to be far scarier than horror movies, mainly because of the perspectives. In a horror movie, you are watching other people in a terrifying situation and it’s usually a predictable one. In horror games, you are actually forced in that situation, as in you are in control and you can really feel the terror, depending on the game. There are many games that try to be scary and fail but there are some that do an amazing join of scaring the hell out of you. Before we count the list down, let’s look at some scary games that I don’t find so scary. To be fair, this is a scary game. The idea of having no means of defending yourself and having to run or hide when faced with one of the monsters in this castle is a great idea and leads to the player feeling some legitimate fear. The problem is the internet has kinda ruined this game for me. If you look on youtube, you’ll find plenty of hilarious reaction videos that made the game funny to me, instead of scary. When playing Amnesia, I spent most of the time lost and confused trying to figure out what the hell to do and when something scary did happen, my mind just went to the videos I saw and I would just start laughing. I know many people find this game terrifying but, sadly, the internet ruined it for me. The jump scare is one of the most effective scares that can be employed in movies and games. It is also one of the cheapest. Slender is mostly build on that concept. Based on the creepy internet meme, Slender has you walking around in some woods in the middle of the night trying to collect 8 pieces of paper. As you collect these pieces of paper, the Slender Man starts appearing and you must keep away from him at all costs. If he gets to close to you it’s game over. While it does a good job building suspense, I just don’t find Slender Man scary in general. 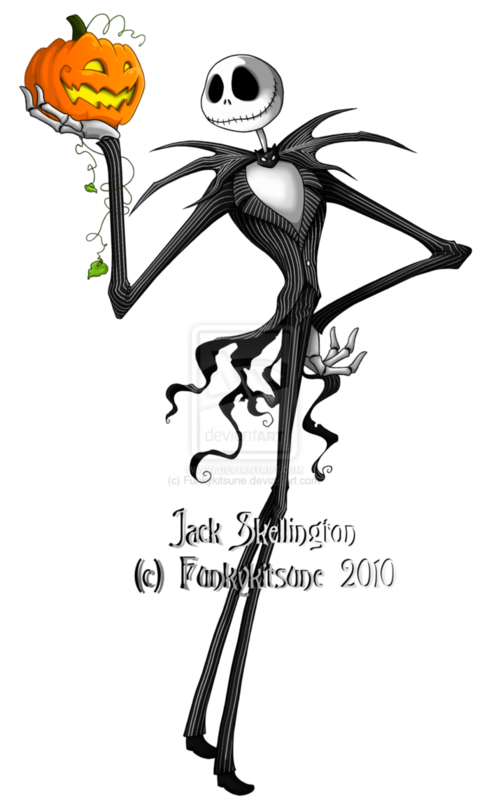 He’s just a Jack Skellington with no face. He probably wants a hug or something and like with Amnesia, the internet ruined Slender for me too with lots of funny reaction and play through videos. Way to go, internet. Bioshock Infinite is definitely one of the best games I’ve played this year so when I was trying to tell people they should go play it, it came to me as a surprised that people were hesitant to play it because the original Bioshock game scared them. Really?! Bioshock scared people? Now Amnesia and Slender, I can understand why people find those scary but Bioshock? Yeah, it’s disturbing and unsettling but that doesn’t translate into fear for me, especially since you have plenty of guns and super powers to defend yourself with. I know what makes a game or movie scary is subjective. Some people find the Paranormal Activity movies terrifying. I find them hilarious. For me, a game is scary based on how easy it is to protect myself. If you’re armed to the teeth with easy controlling, you don’t have much to fear. On the other hand, if you have little to defend yourself with things get much more nerve racking. Now let’s take a look at the 6 games that do scare the s@#! out of me! This 2002 game based was on the classic 1982 horror movie of the same name by horror master John Carpenter (who actually makes a cameo in the game). Set in Antarctica days after the events of the movie, you lead a team of soldiers to investigate what happened to an American research base only to discover horrific shape shifting aliens. One of the key innovations was the fear and trust system in which members of your team would start freaking out and start losing trust in everyone, suspecting them of being The Thing. You have to use various means to calm them down and regain their trust before they start panicking and trying to kill you and/or take their own lives. It was an interesting concept but it ultimately didn’t work as well in practice. It doesn’t help that almost all your team mates end up becoming The Thing at some point, so it ends up losing its purpose. The atmosphere of the first half of the game is great. Set on the frozen wastelands of Antarctica, it really adds to the nerve racking and isolated feel the game goes for. The second half, on the other hand, is set on various military bases were you are facing human enemies a lot more than the aliens, becoming a lot less scary. Scariest part of the game for me was the first time members of my team turned into The Thing. You have to administer a blood test to prove to a guy that you and your team are not infected. Your test comes up negative so you have to do it on the next guy but he comes up positive. Before your eyes he turns into this horrific beast and starts attacking you. RELATED: Gaming Nomad VS. Saints Row 4. While the other guy and I are trying to kill the alien, I failed to notice the other guy on my team in the corner also turning into a monster. He then rushed over and started attacking me before I knew what the hell was going on. It all resulted in an extremely hectic couple of minutes and after it was over my heart was racing. This was one of the first games I had for the Xbox 360 and probably the scariest for the system. You play as Ethan Thomas, a washed up, alcoholic former FBI agent who is haunted with horrific visions and bent on hunting down a serial killer known as SKX. The city he lives in makes Gotham City look like Candy Land and really makes the dark and disturbed atmosphere of the game come to life. Seriously, I can’t see how anyone could live in this place. Everyone in the city looks like such a creeper. As creepy as everything appears, there are only two parts of the game that really scared the living daylights out of me, both are Ethan’s hallucinations. During the first level, you lose your mind and find yourself being attacked by these bizarre demons made of black oil. They remind me of the demons from Constantine. There is a part where you go down a hall and there are similar creatures on the ceiling that grab you and force you to look right into their horrific face. AHH! I found myself moving slowly down the hall, throwing whatever I could at those bastards so they couldn’t grab me again. The second scariest part is Ethan hallucinating that he is alone in the police station. There comes a part where you have to go through this hallway filled with offices. You could hear something coming though, something moving in through the offices, trashing them. You can’t see it. You just hear it. It didn’t help that there were random images appearing randomly in your vision for a fraction of a second. I remember my heart racing as I ran from office to office trying to hide from whatever was making that noise. I remember that I was so scared that I actually went to the Xbox dashboard and turned on some music I had stored on the hard drive to try and calm my nerves. I ended up running past the office without ever looking to see what was making that noise but did have some bizarre image flash on the screen as I ran past that may or may not resulted in me screaming like a girl. Oh, and there is a part when you get chased by a freaking bear. What I liked about FEAR 1 was the perfect balance of FPS action and terrifying crap. I feel FEAR 2 really improved in all of these fields. FEAR 3 completely ruined it by trying to be like another Call of Duty. Trying to explain the plot to these games is like trying to explain quantum physics in under a minute but all you do need to know is that this girl named Alma is super powered psychic ghost that blew up the city you were in. Trying to explain the plot to these games is like trying to explain quantum physics in under a minute. Alma spends the rest of game scaring the hell out of you and killing off members of your team in as many horrific ways as possible. The destroyed city is very unsettling and I love the image of the mushroom cloud in the background. While there are many scary and disturbing parts to the game, the scariest level in the game is the elementary school. If you’ve played the game, you know what I’m talking about. If you haven’t, I can’t really explain it but it’s freaky as hell, especially the boiler room. If you are going to play a part of this game, let it be the school level. It’ll scare the hell out of you. This series needs no introduction as it is one of the staples of survival horror gaming and zombie games. However, it’s definitely lost its way becoming much more action oriented than focusing on the horror that made the games famous (I blame the awful movies that they keep making). However, the original trilogy of Resident Evil games still holds up in the horror department and I have always found RE2 had the greatest impact on me. RE2 traumatized me with one area that should have been unimportant. I am talking about the hallway in the police station with the boarded up windows. It’s so genius how they got this to work. RE2 traumatized me with one area that should have been unimportant. The first time you go down this hall, nothing happens and you don’t even think that there is any danger. Later, you back track through the same hall. Nothing happens. Then as you come back through, still not expecting a thing… ZOMBIE ARMS BURST THROUGH THE WINDOWS AND GRAB YOU! When this happened to me I screamed and threw my N64 controller at the TV. RELATED: Zombies in Raleigh! Where to hide? From that point on, I would not go down that hallway. This was an excellent use of compliancy to build up a scare. It scared me so bad that when I came to the same hallway in RE3, I would not go down it. Your hallway forever traumatized me, Resident Evil. Released in 1995 by WARP games and directed by Kenji Eno, this was one of the first fully 3D games to be made for home console and my very first horror game experience. You play as Laura Harris, the daughter of a renowned doctor how has gone on a killing spree at hospital he works at. When Laura gets there she finds herself somehow transported to a haunted castle filled with bizarre and terrifying sights. She has a limited time to figure out the mystery of what happened to her father and the mystery of her family. D stands out for its unconventional gameplay style and unrelenting atmosphere. There is no pause feature so if you’re going to play D, you better be ready to play it in one sitting. The limited track movement prevents you from carefully easing your way into a possibly dangerous room like you would in a game like Resident Evil. You will constantly be on edge and have a feeling of dread from the game’s creepy music and setting. And you can’t stop it either. There is no pause feature so if you’re going to play D, you better be ready to play it in one sitting (don’t worry; it’s a fairly short game). Filled with decrepit corpses, deadly traps, and horrific visions of Laura’s own murder, this might have been one of the most violent T Rated games ever. While it might be too unconventional gameplay wise for some, D will always been remembered to me as one of the scariest games ever. If you want to learn more about D and Kenji Eno, check out the Happy Video Game Nerd. Fatal Frame is the only game to ever truly give me nightmares and the only games I have not beaten because I am simply too afraid to play by myself. The Japanese took every horror movie and creepy urban legend they have and threw them into a blender and gave them steroids when they made these. Each game is loosely linked to the others but all have the common element of a young girl or girls investigating a site subject to dark Shinto rituals and encountering tormented ghosts. The ghost deigns are terrifying and the sounds they that come from them make Fatal Frame have some of the scariest enemies in any game I’ve played. Your only means of defense is the Camera Obscura, a camera that can photograph and defeat the dead. Fatal Frame have some of the scariest enemies in any game I’ve played. So that’s my top 6 scariest games I’ve ever played. Something I didn’t mention that should be up there? Well, too bad. Just kidding. Feel free to list some other horror titles I should check out in the comments if you like. Be on the lookout for my Batman reviews of Arkham City and the highly anticipated Arkham Origins over the next few days!